2" Aluminum School Blind | Brite Inc.
Prices are for sizes up to and including size listed in table. These 2" Aluminum School Blinds are practical and strong. 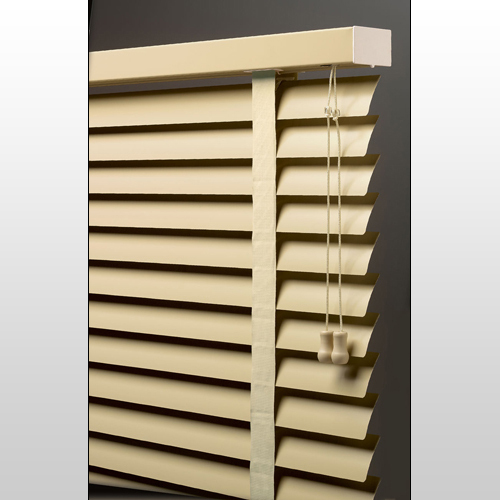 Light-blocking lip between headrail and top slat provides superior light blockage. The headrail provides smooth operation and durability - no chance for corrosion and never requires lubrication. Heavy-duty ladder tapes enhance privacy by hiding lift cord rout holes and provide long-lasting durability. Please print our Measure Form, fill out the shades information and fax it back to 781-767-9544. A customer service representative will be able to get you a quote based on your measurements. All blinds are custom made to fit your specifications. Please use our measurement form to get a quote. 23" 26" 29" 32" 36" 40" 44" 48" 52" 57" 62" 67" 72" 82" 92" 102" 112" 122" 132" 142"